Spend just two hours to learn the skills you need to interview anyone. 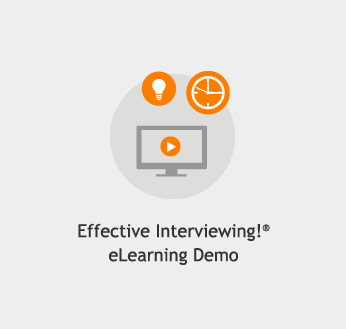 Effective Interviewing!® eLearning is a two-hour behavioral interviewing course completed at your own pace. 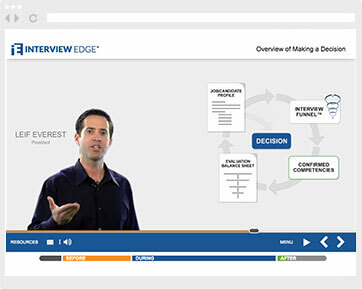 This online interview training provides a complete process to identify required competencies for any position, ask in-depth interview questions by applying the Interview Funnel™ model, and make confident and accurate hiring decisions. This just-in-time training approach allows busy managers and professionals to access interview skills training wherever they work. 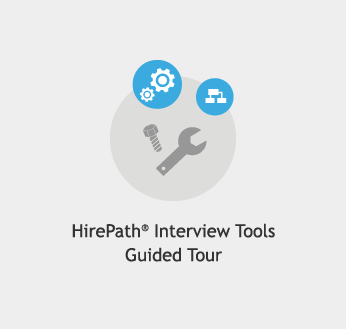 HirePath® Interview Tools are included in this online interview training to reinforce newly acquired behavioral interviewing skills. Use a candidate Evaluation Balance Sheet. Apply key criteria to make final decision. Reach consensus with an interview team. Enhance Effective Interviewing!® eLearning with a follow-up two-hour classroom practice session or webinar with one of our trainers. Reinforce Effective Interviewing!® eLearning within your organization by certifying your key interviewers or recruiters as coaches to facilitate classroom practice sessions. Contact us for information on how to purchase 10 or more Effective Interviewing® Online Learning seats. Want to learn more about online interview training? Online learning costs less than a traditional in-person seminar. Learn interview skills when you want and at your own pace. Interview skills training exercises engage you and keep your interest. Audio and video examples demonstrate what is taught. Illustrations elaborate the concepts in an entertaining fashion. Concepts are explained in a straight forward and easy-to-learn manner. Allows you to continually apply what you learned with online interview tools. 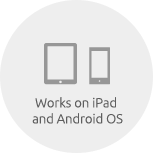 Completion certificate and final quiz score are viewed by your administrator. This program has been approved for credit toward PHR, SPHR, and GPHR recertification through the Human Resource Certification Institute www.hrci.org.